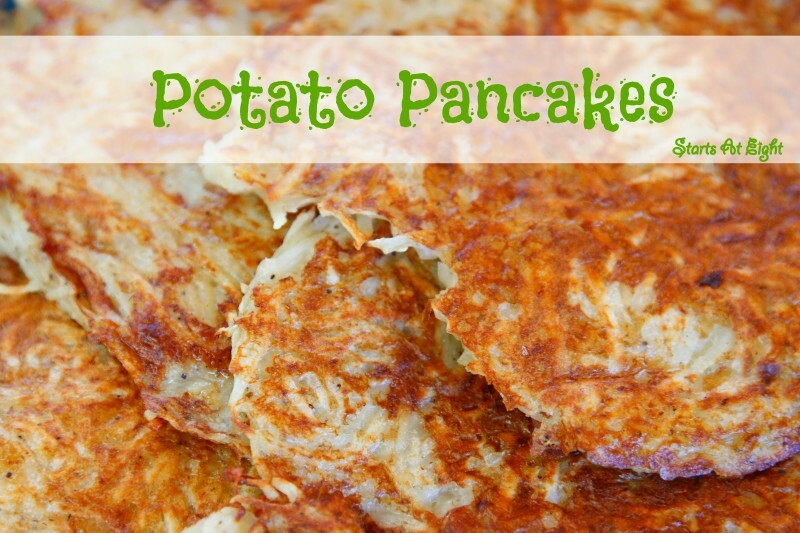 NOTE: We also love our potato pancakes with applesauce and sausage as sides! We used to make these but used left over mashed potatoes. Yum! Carrie, I have never tried with left over mashed potatoes. How does that work?